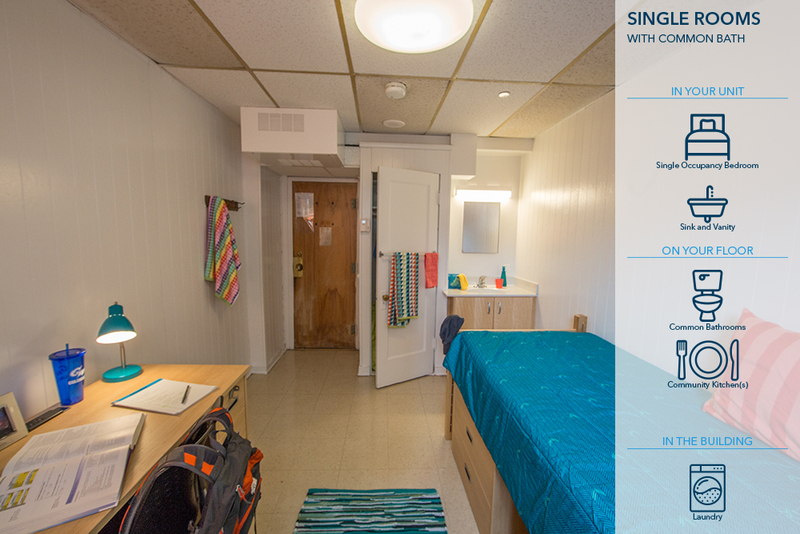 Single with Common Bath: A traditional residence hall-style single person room with a common bath and kitchen on the floor. 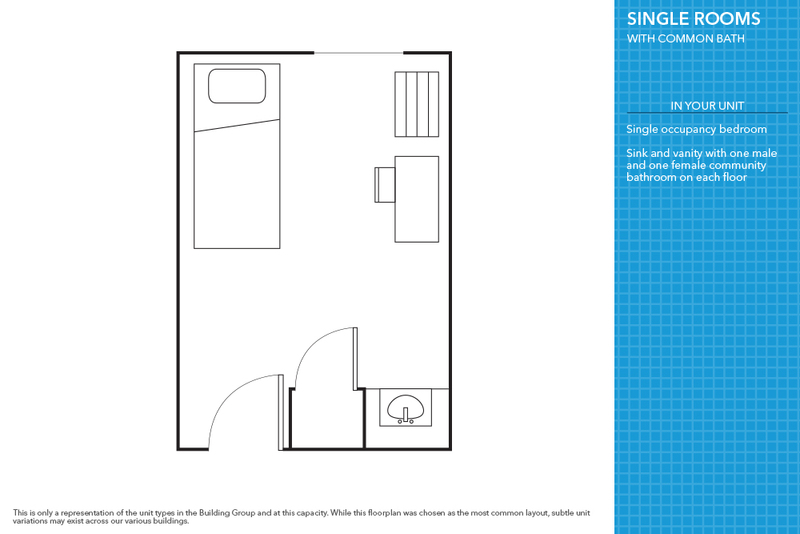 Private Bedroom with Shared Bath and Kitchen: A single person bedroom within a larger apartment unit with shared bathrooms, living room, and kitchen. 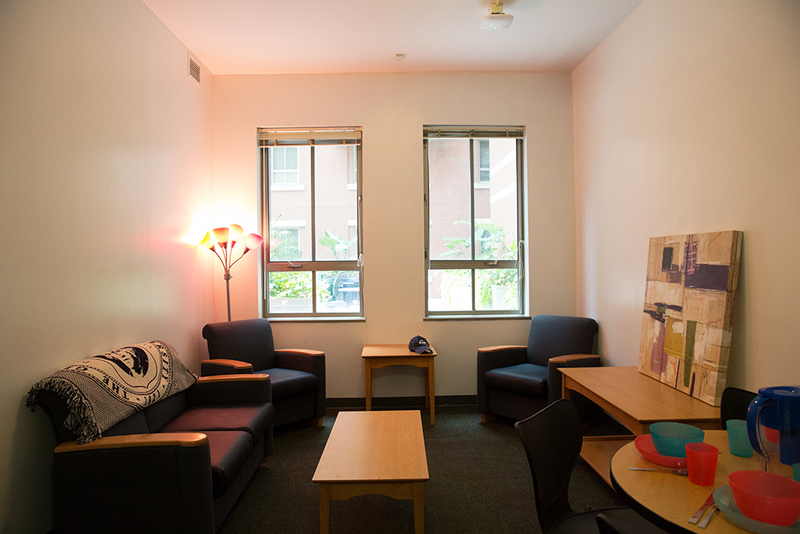 South Hall offers suites with 4 private bedrooms for each guest, 2 in suite bathrooms, a living room, and full kitchen. 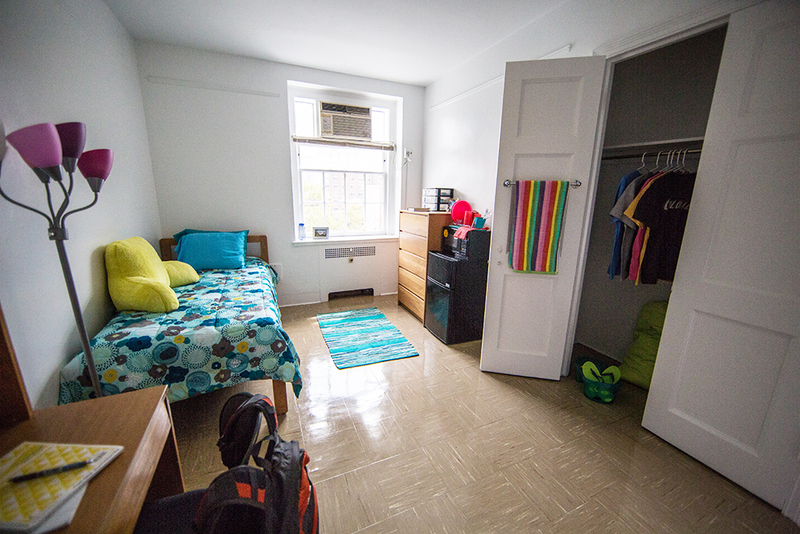 Just across the street from the Charles E. Smith Center, home of GW Colonials basketball, and a 5 minute walk to the Foggy Bottom-GWU Metro Station. 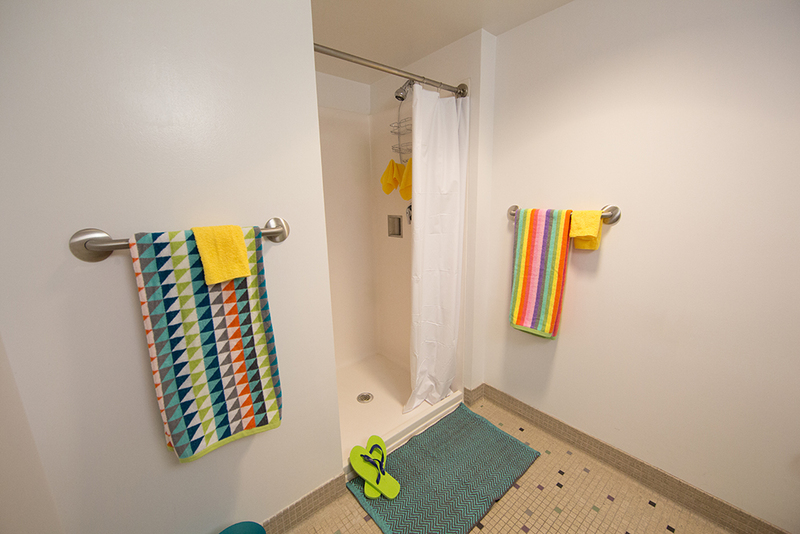 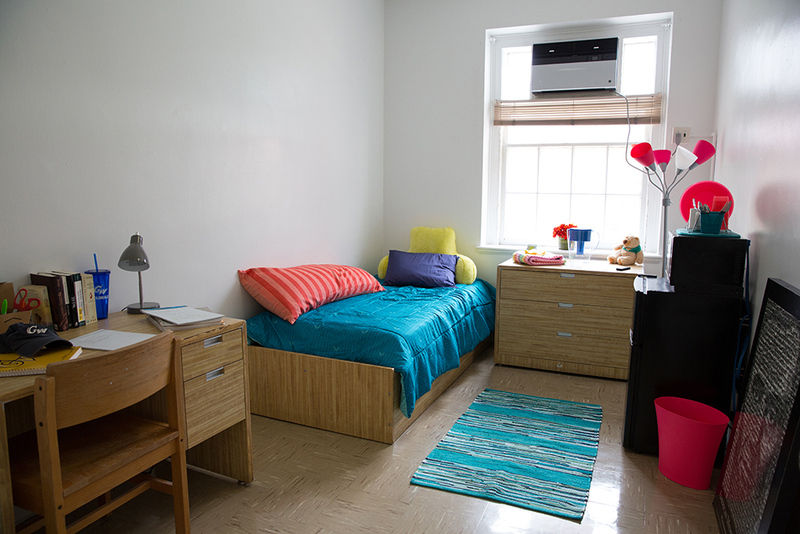 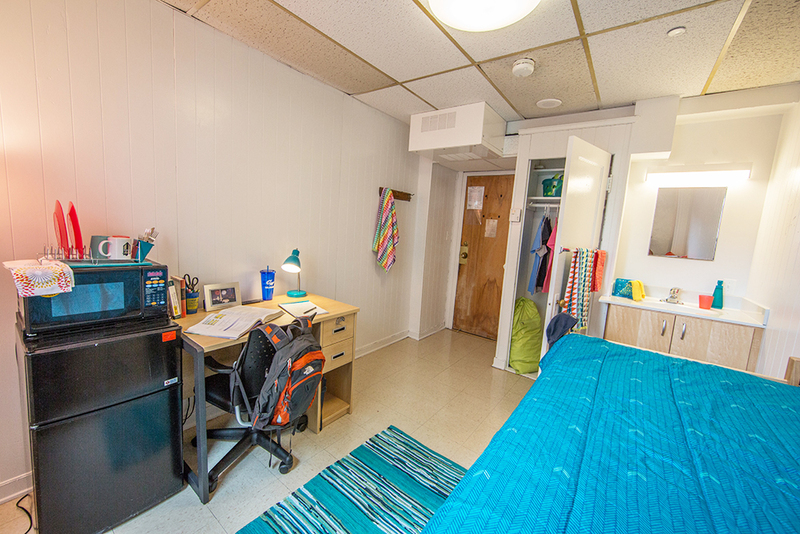 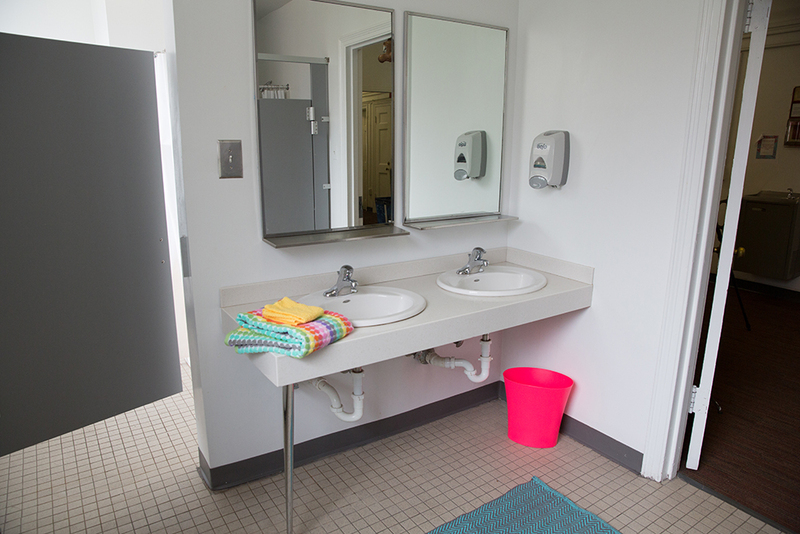 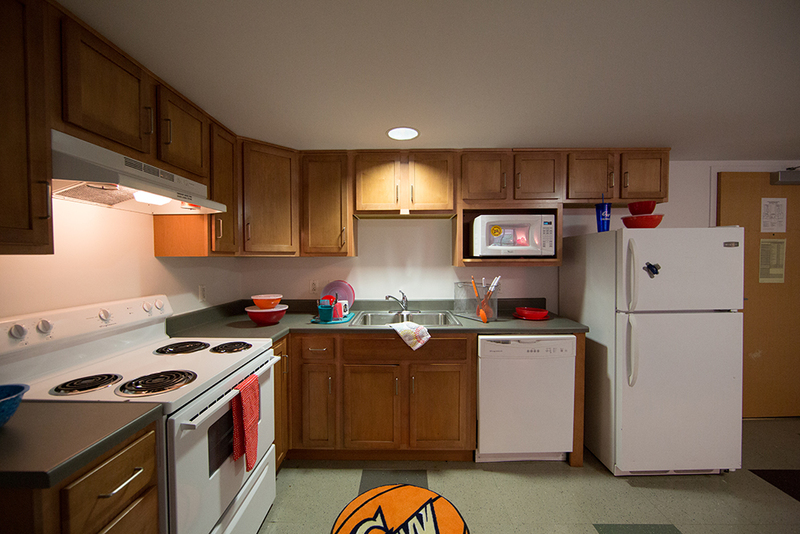 Mitchell Hall offers guests the privacy of single bedroom units with common bathrooms on each floor. 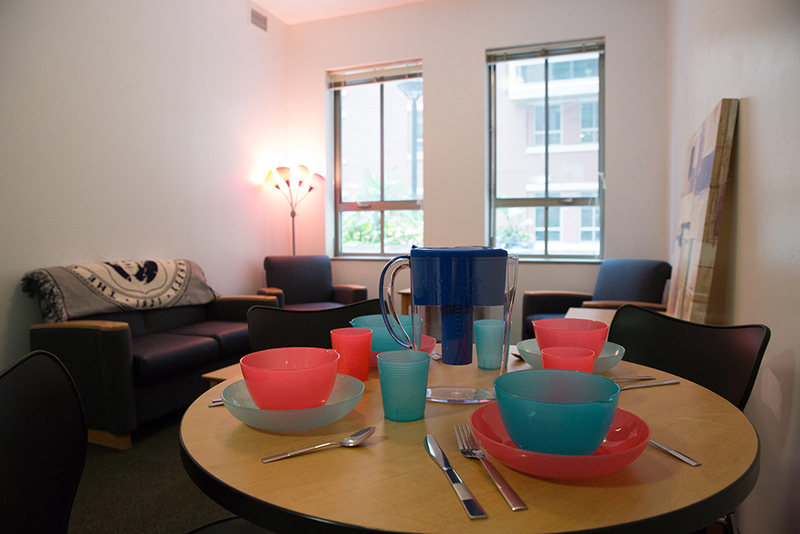 The building features community kitchens and a rooftop terrace with views of the District. 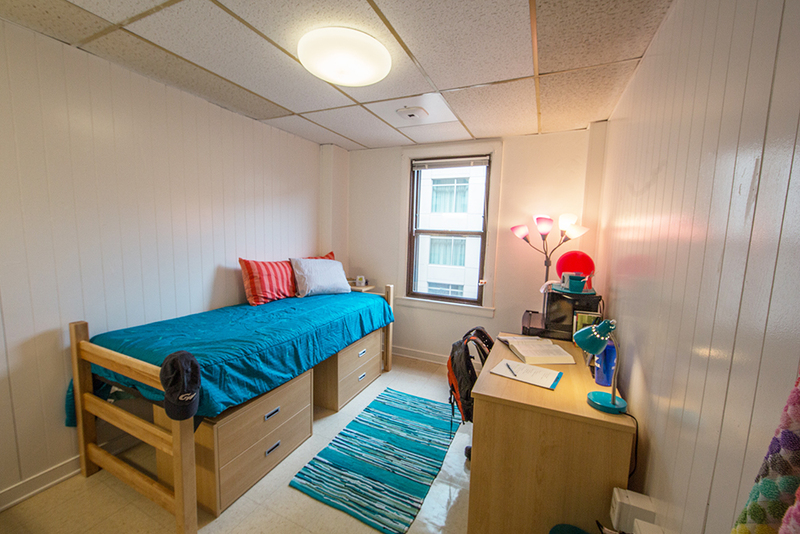 Conveniently, Mitchell Hall has a 7-11 on the ground floor and is almost equidistant between the Foggy Bottom-GWU and the Farragut West Metro Stations. 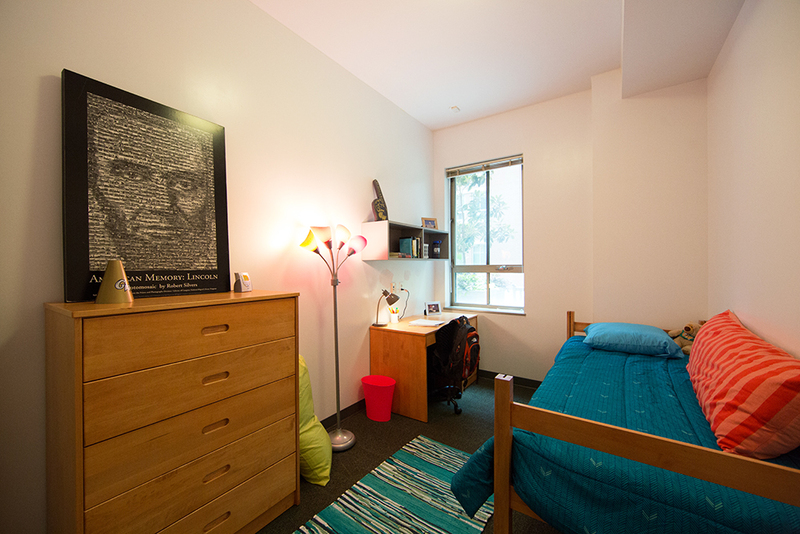 These buildings are located around the center of campus with four to six residents in 1 & 2-person bedrooms. 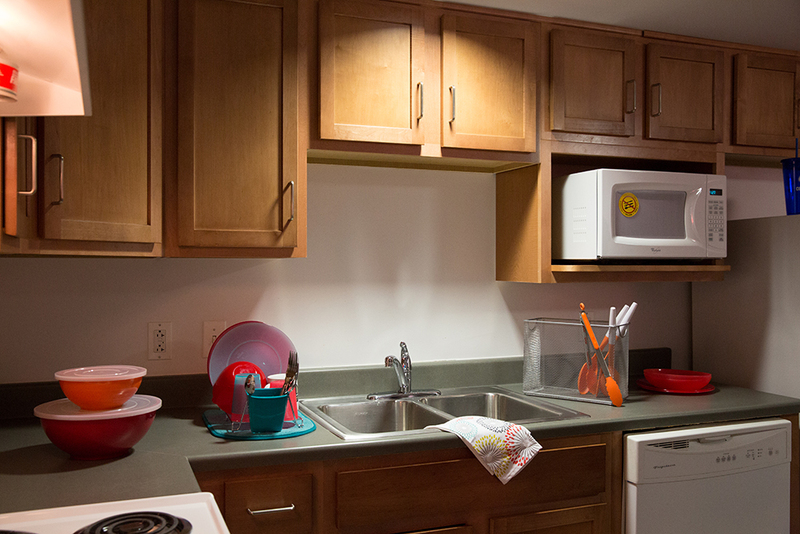 Each townhouse offers a full kitchen, one or two community bathrooms, and most have outdoor space. 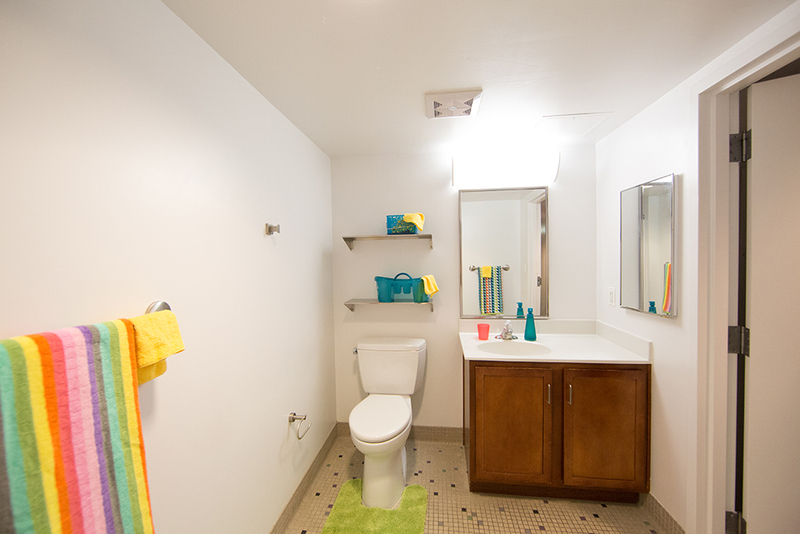 No two townhouses are the same; therefore, the amenities of each vary from townhouse to townhouse. 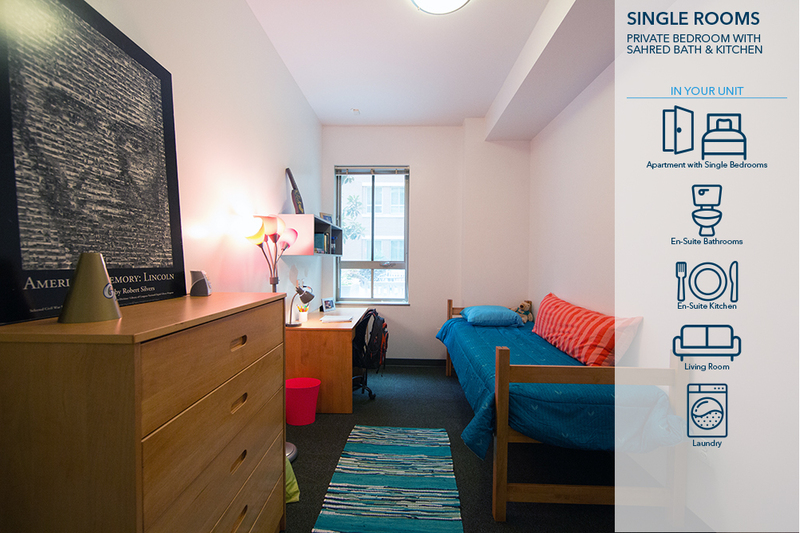 Strong Hall is the only building designated solely for females. 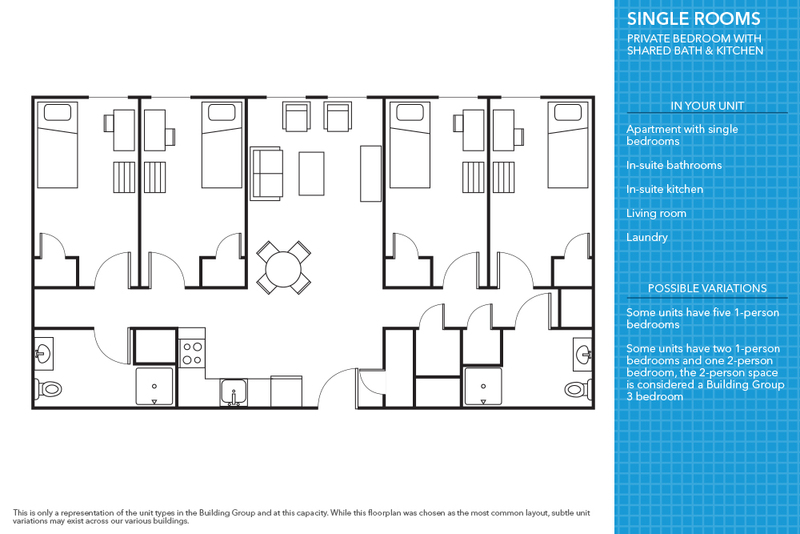 It offers both Greek housing and single bedroom options for guests. 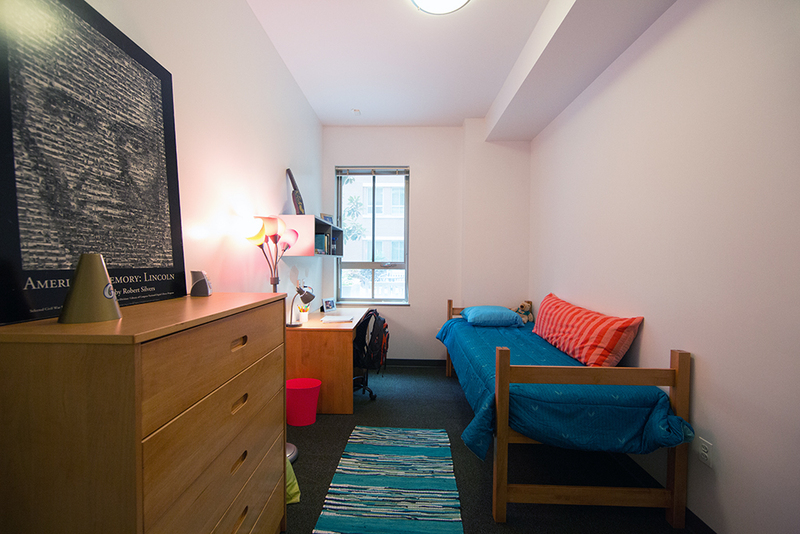 Two of GW’s affiliated sororities, Pi Beta Phi and Chi Omega, occupy space in Strong Hall. 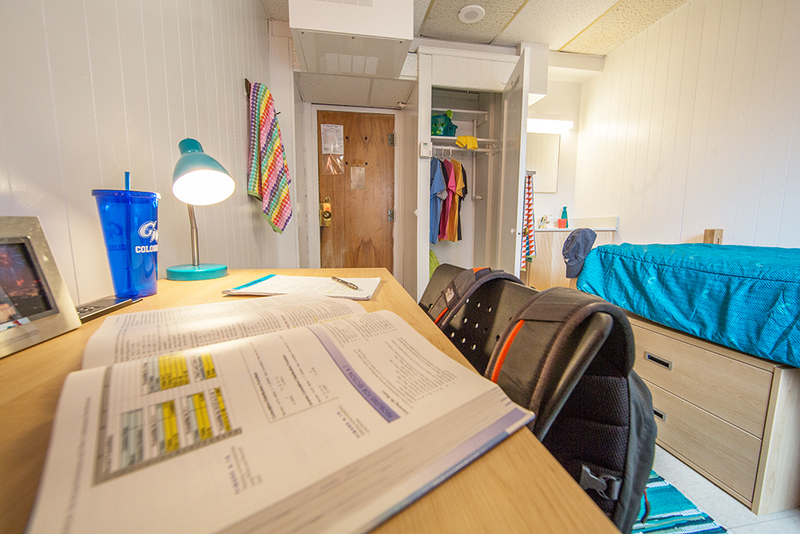 Each chapter has a private community room, kitchen, and dining room areas that are accessible only to guests who request Strong Hall as a Greek Housing option. 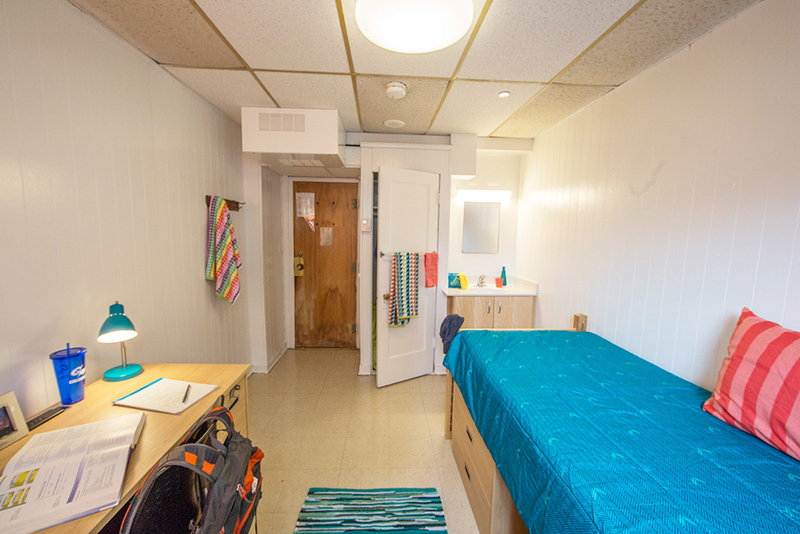 Chi Omega women also have access to both of Strong Hall’s roof decks.